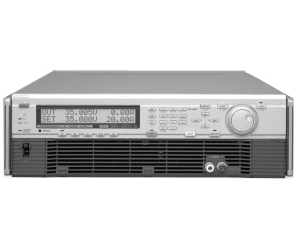 The PAX Series embraces automation and power saving as its design concepts and offers a suite of programmable DC power supplies built with high levels of reliability and safety. The use of a power amplification system results in low ripple noise levels and highly stable operation while at the same time allowing the power supplies to operate at high speed. Output sequence control is also supported, thereby making it possible to generate waveforms at given voltages and currents.